We want to help make sure you get the most out of print outs with StaffHub and Shifts. Below you can learn how to save your schedule as a PDF file and print your schedule onto one page. In StaffHub, click Print on the command bar. In Shifts, click Print at the top right. In StaffHub, click the dropdown next to Print on the command bar and select Scale to one page option. Please make sure after you turn it on, the page settings are your desired settings in the drop down. 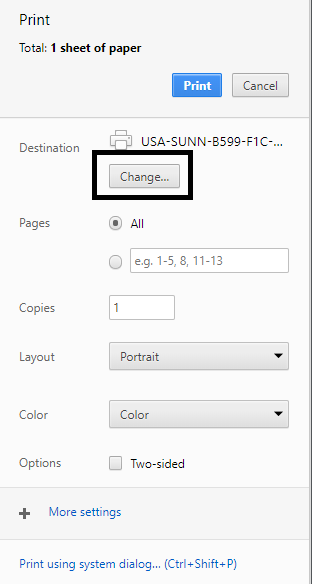 In Shifts, click Print , and then Scale to one page in the dropdown, and then Print scaling. In either app, press Print and remember to make sure your printer settings are the same as the ones you selected in the scale to one page drop down. Double check your scale percentage and make sure it's 100%. Choose ﻿Microsoft Print to PDF. In StaffHub, click the dropdown next to Print on the command bar and select Scale to one page. Please make sure after you turn it on, the page settings are your desired settings in the drop down. 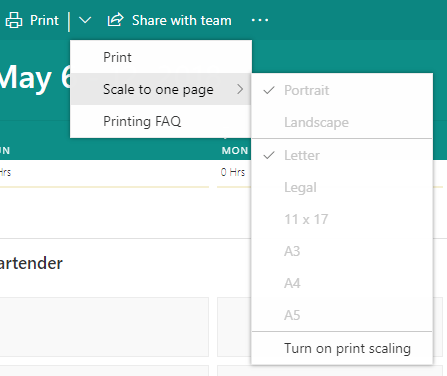 In either app, click Print and remember to make sure your printer settings are the same as the ones you selected in the scale to one page drop down. 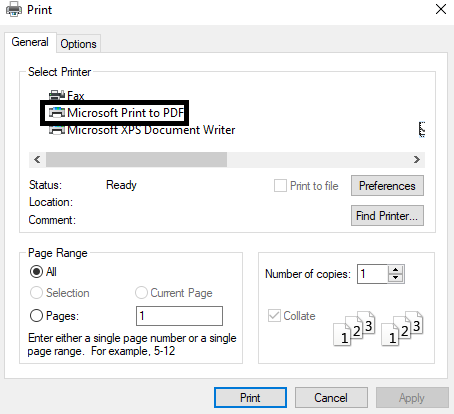 Choose Microsoft Print to PDF under Printing. Double check your scale percentage and make sure it's Shrink to fit and not any other value. In StaffHub, press Print on the command bar. Choose Microsoft Print to PDF under Name. Tip: Try pressing Ctrl + Print to separate groups onto different pages.